(BBG) The air cargo industry is already considering one-person flight crews. Self-flying planes may be next. A range of companies, from such aerospace giants as Boeing Co. and Airbus SE to tiny startups, are working on various aspects of a difficult puzzle: how to create the next generation of air travel—one whose pilots are far less ubiquitous and new flying vehicles communicate with each other. More important, how is that world to be as safe as the one we’re in now? 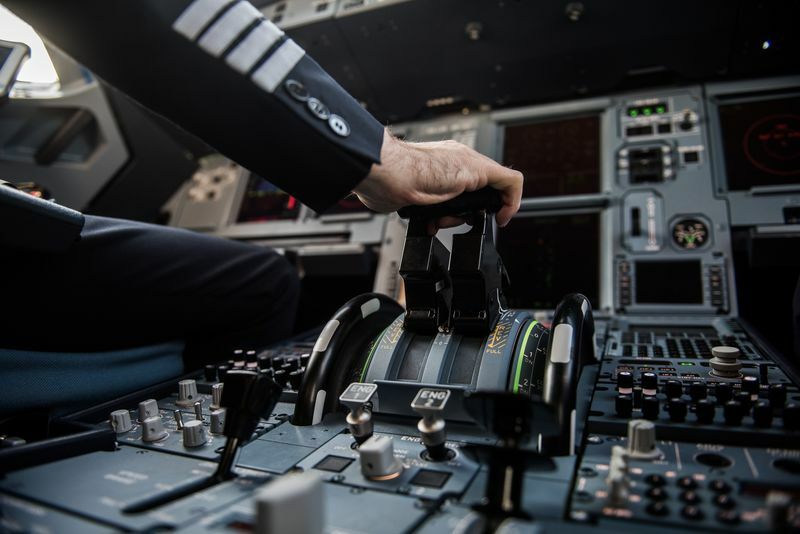 “It is not as complicated as it sounds, and it is not as dangerous as it sounds,” said Elpert Hodge, executive vice president of M2C Aerospace Inc., a New England startup working to build a flight system for single-pilot commercial aircraft operations. 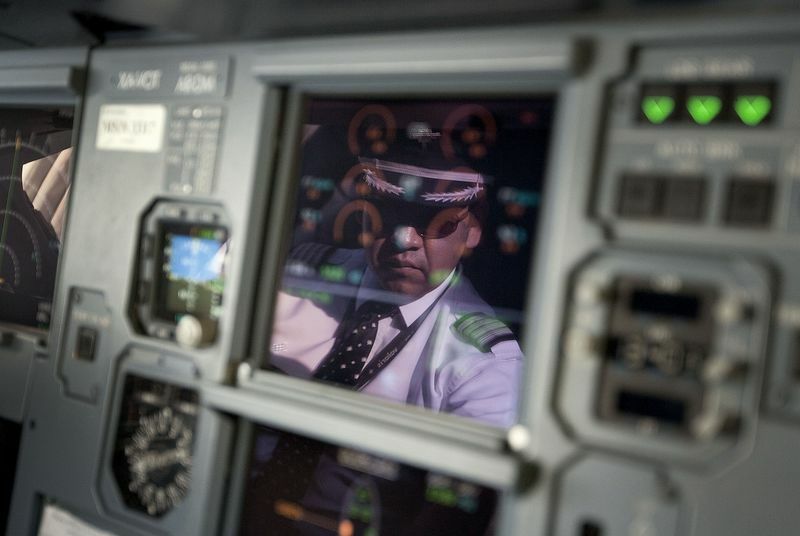 The startup hopes to meet airlines’ desire to cut costs while addressing a pilot shortage that’s already curtailed air service in some regions. The technology to achieve this is likely to be available soon. The comfort level of regulators and average citizens will almost certainly lag. 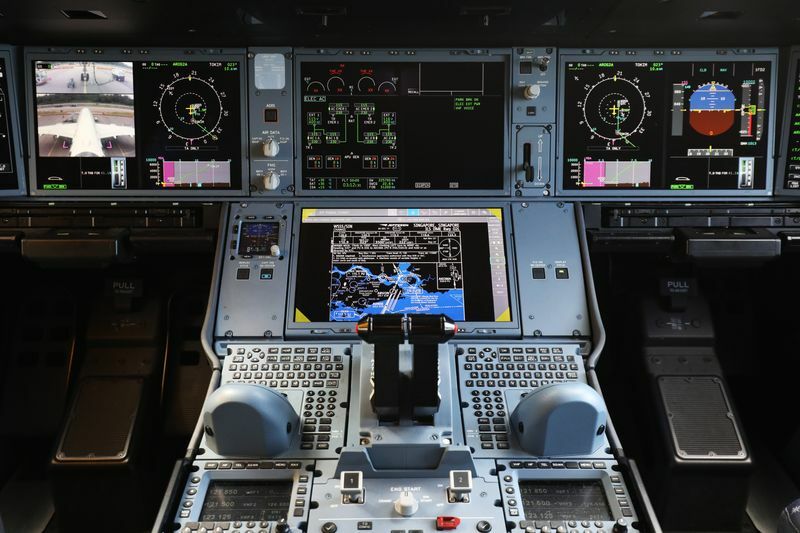 Flight controls in the cockpit of an Airbus SE A350-1000 twinjet passenger aircraft.